JL-754, Left-Handed Electric Guitar from Johnson Guitars. Johnson released the left-handed and 3/4-size Solara Specials- single-cutaway, dual-humbucker guitars designed for beginners or student players. With a solid basswood body and bolt-on maple neck with satin finish, the Solara Special (JL-750) features dual open-coil humbuckers. The deep treble side cutaway allows access to the upper frets, and the nickel fret wire on the classic rosewood fretboard is finished with no rough edges for smooth playing. The new left-handed (JL-754) and 3/4-size (JL-750-3/4) models expand the Solara line to give guitarists options described as unique at this price point. The 3/4-size model is designed for smaller players who want a guitar that isn’t a toy. 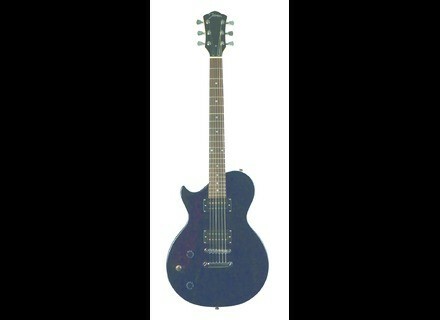 The Solara Special has a street price of $149.99 and is available in both gloss black and sunburst finishes. For more information on Johnson products, visit www.johnsongtr.com. Cordoba Requinto 480 & 520 New to Cordoba’s Iberia Series of entry and student-level nylon-string guitars, the Requinto 480 (1/8 size), and Requinto 520 (1/4 size) are designed for children learning to play the guitar, or any player looking for a smaller model to take on the road. Fishman Loudbox Mini Amp The new Loudbox Mini weighs in at 20lbs with 60 watts of sound. British Amplifiers Watkins Dominator V Front British Amplifiers announced that a limited edition Golden Anniversary re-issue of the Watkins Dominator V Front guitar amplifier has been introduced.